Q: I’m Alvin, from Pasir Ris West. I would like to ask PM about this MG Package. We know the Pioneer Generation benefitted 450,000 Singaporeans and cost the Government $8 billion. How about this MG package – how many people will it benefit and how much does this cost to the Government and how do we finance this programme? 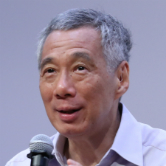 PM Lee Hsien Loong: First of all, how many MGs are there? It’s about half a million. The Pioneer Generation, at the time we did it, there were about 450,000. The Merdeka Generation, we estimate, are about 500,000 people because the Merdeka Generation, many of us were born during the baby boom years. As I told the World Bank crowd in Bali, we had in Singapore, the most productive maternity hospital in the world. KK Hospital, for a time, had the most babies of any hospital anywhere in the world. It is 500,000. How much will the package cost? We haven’t quite settled exactly yet but probably not quite as much as the Pioneer Generation Package cost but it will be a good package. Can we afford it? I think yes. How will we do that? We will do it out of this current term of government, the reserves we have built up, we will put aside the money so that it will fund the package over the life of the Merdeka Generation people. Just as we did for the Pioneer Generation when we made the Package, we also put aside the money and we do not burden the future government or future voters. Will there be a next package? I don’t know. I can tell you that before my National Day Rally was over, already there was a tweet which was going around or WhatsApp message, and they put down there – Pioneer Generation, born before 1950; Merdeka Generation, 1950 to 1959; then the next one already Majulah Generation – before I finished my speech. I can tell you I do not know; I do not know because first it depends whether the government can afford further packages. Secondly, also because with successive generations, the later one, actually we have made more provision for you and help people more during your working lives. Because the younger ones, below the Merdeka Generation, your CPF is much more, your incomes are higher, so your provisions for your retirement, your healthcare, are also more. Those schemes actually should carry the main bulk of the problem of looking after people in their old age. They still need help in some cases, for people who are low income, for people who have somehow been unlucky in life. Those are things which we have to think about but I think we have to recognise that the Pioneer Generation was very special, the Merdeka Generation also they did not have full advantage of the benefit of the growth of the country and in particular, the Merdeka Generation had a significant time working before we raised CPF around the 1980s. The younger ones, actually most of your working life was with higher CPF rates and therefore this is something which I think I will leave to my successors to think about. Q: I’m Thiru from Jalan Kayu. Generally, people agree that we need to recycle land, so that future generations will have equal opportunities to buy flats. But people are also upset that HDB flats have zero value at the end of the 99-year lease. Meaning that the CPF used to pay off the flat also disappears and they have little left for retirement. Your comments, please. PM Lee: Thiru asked me why at 99 years the house has no more value. I think the answer is because when we sold you the flat we sold you a 99-year lease. Which means you pay a certain amount of money, the flat is yours for 99 years. At the end of 99 years you give the flat back to the government. That’s what a 99-year lease means. It is like when we sold the hawker stalls to the hawkers for 20-year lease, they got the stall for 20 years during which they can use it, they can operate it, they can sublet it. At the end of 20 years, it comes back to the Government, it’s the Government’s again. Some of the stalls have already come back to the Government. For example, at the Chomp Chomp and few other areas, I think Chomp Chomp has come back already right. But certainly some of them have already come back. So at the end, it’s over. But is it fair? I think it is fair. You buy a property, we give you a price, in fact we give you a subsidised price. The property is worth a lot of money. You can live in it. After five years, you can sell it. After a certain time, you can also rent it out. Even do a lease buy back with the Government. If you buy a house which is 99 years old, when you get married, say when you are thirty years old, then by the time you retire, say when you retire at 70, that is forty years later, that means the house still has 59 years of life left. That is enough for you to live in for free for the rest of your life, plus extra. Unless you happen to live until a 129 years old, which maybe one day somebody will, but so far very few. Actually we have given you a house, paid for, by the time you retire, and which has enough life for you to live in it for the rest of your own retirement. Furthermore, at the end it still has, maybe, if you live till 90, maybe it’s about 30, 40 years beyond that. So it has value, value which you can use, value which you can give to your children. Your children may not want to live in it, they can sell it. They can give it back to the HDB. At 99 years, it comes back to the Government. You have got 99 years of use out of it. The Government gets back the land, recycle and redevelop for somebody else. I think that is fair. I think that is the fundamental point which we have to understand because if we made it forever, or if we said at the end of 99 years, you give me back the house, I give you back your dollars. Then what about the years when you have been living in the house? You must pay rent right? Which I don’t think is the deal. I think that we have to understand this. At the end of 99 years, the house must come back to the Government. In between, what can I do to help the house keep its value? Well, I have HIP, I have got HIP II, and at the end to make it more convenient for people to give you choices, I offer you VERS. You don’t have to take. It is up to you, but I think it is a good arrangement and I hope that we will be able to make the terms so that some people will take. When VERS comes after the house is 70 years old, it doesn’t mean that it will come on the 70th year – on your birthday – but it means after 70 years, and before 99 years, you’ve got a good chance of having VERS. Q: I’m Jeslin. We are hearing about increases such as GST, electricity, food water and petrol. Social media share about the struggle of low-income families and the elderly. The people tend to be a little upset with the government so can the government provide statistics and share stories to show that income also has increased over the years. The question is the rank-and-file workers are still stuck low salaries making it hard for them to cope with the increasing cost. Thank you. PM Lee: Jeslin asked about GST, price increases, impact on low income, are there statistics or not. Answer is there are plenty of statistics. If you go to the MTI website you will see all the statistics which show that in the last two or three years, actually for the low income households, their incomes, earnings have been going up. Going up quite a lot, going up by more than the cost of living. In real terms, the households who are, at the bottom 20% or the bottom 30%, their dollar amounts, they have more to spend. But of course, the subjective feeling may be different because you see that price go up you actually pay every day and then you feel as if not quite as much money as before, but statistically, in fact, we have been lucky. Incomes have been growing up, and we would like to keep it like that by helping them with productivity, helping them with the jobs, helping them with their earnings. I know that there will also be some households where their incomes didn’t go up. It will happen because statistically on average, people are getting better off, but some households may not be so. When there are such situations, where people need special help, we will do what we can to help them. That is why we have all the different kinds of schemes which we have come up with – with ComCare, with Workfare, all the different CCC schemes, vouchers and so on. We know what we have been doing. It is really an emotional thing with people because, if you remember my Chinese speech at the National Day Rally, I showed the electricity chart – goes up and goes down. At the end of ten years, it can go up or go down. Actually, it went down a little bit. It went up and down why because energy prices went up and down when we buy our energy, so bo pian. After that people said yes, I see you, I hear you, I understand you but my feeling is still that it feels heavier than before. I can understand. It may be because they’ve got older folks in the family, they have more expenses to meet, or they have children they are paying for their tuition, that may be a lot money and therefore they feel that money doesn’t quite go as much as before. In fact, what we can do is to try to not only explain the electricity prices, but what we can do is to help people to address specific pain points. So healthcare for the old folks, with the Merdeka Generation Package. Education, make sure the pre-school is affordable and better and more affordable than before. And make sure the houses are affordable. The things that affect you, we do specific schemes to help you, with those, make a practical difference to your lives. At the same time, I hope people will also make their own adjustments. It is both a matter of reassuring people that their immediate concerns are being seen to, that cost of living is being taken care of, that we have measures that are helping them, helping specific groups of people with their concerns. But It is also giving hope for the future that things can get better, we can make things better and your children have a good chance in Singapore of doing well for themselves. That’s is very much what we are trying to do, and what I am trying to do with you today.